The University of Ilorin, Kwara State held the 2019 edition of their Students Industrial Work Experience Scheme (SIWES) Pre-placement Orientation Program on 7 February. SIWES is a mandatory program designed to enable students from Nigerian tertiary institutions, acquire professional skills by active participation in industry. The goal of the scheme is to bridge the gap between theory and practice by enhancing classroom learning with practical experience from the workplace. 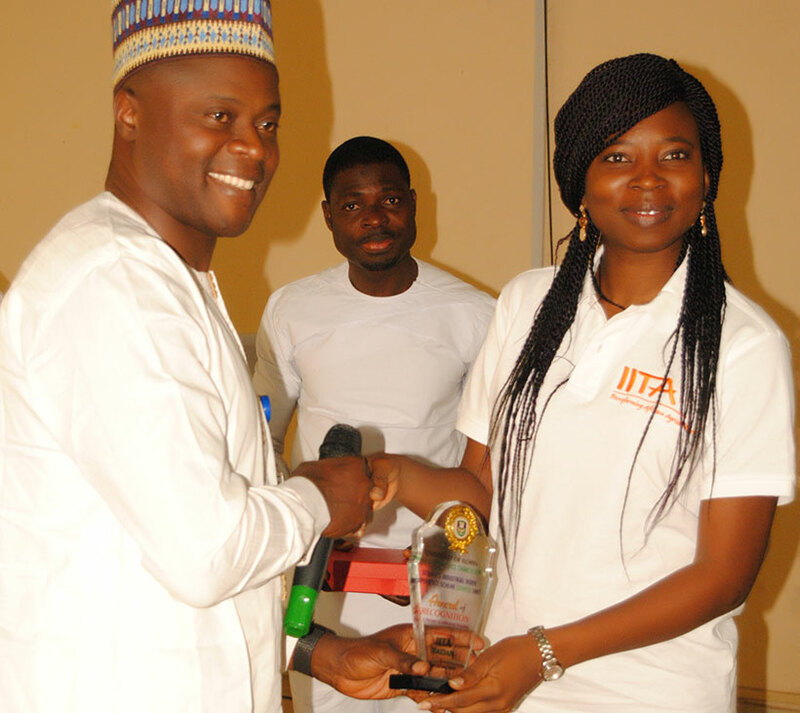 Sore receives award of recognition presented to IITA by the University. SIWES has exposed students to technologies, machines, equipment, industry processes and work ethics rarely available at the universities but which increased their skillsets and opportunity for employment after graduation. In his opening address Dr W.O. Raji, Director of the SIWES Unit, emphasized the importance of partnership between academia and the industry. “Building such relationships allow for sharing knowledge and technology transfer, which are essential for the growth and development of both sectors,” he said. IITA, being one of the partners from the industry that accepts and trains university students annually, was present at the program, represented by the Head of IITA Capacity Development Office (CDO), Sougrynoma Zainatou Sore. 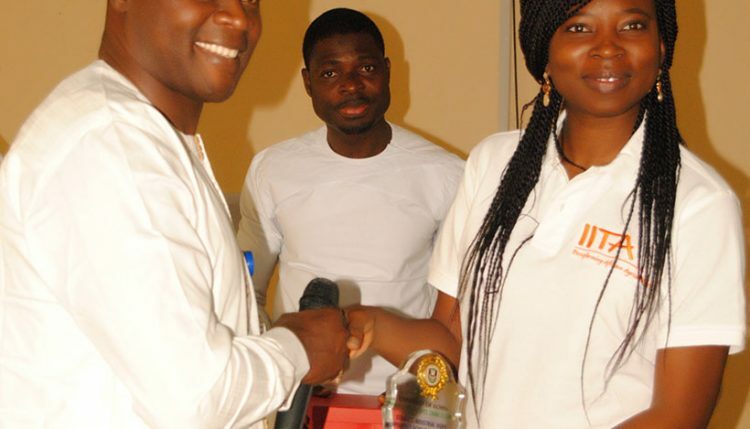 In her remarks to the students, Sore talked about IITA and how CDO manages students in terms of their SIWES or IT. As a research institute and a center for training young scientists and students, IITA has long-standing partnerships with Nigerian universities. Being an institute with the mandate to transform African agriculture, IITA recognizes the pivotal role of developing and strengthening the capacity of young and future African scientists and professionals to boost the agricultural sector in Africa. For this reason, IITA receives and trains hundreds of students from those universities every year. In 2018, 354 students started their industrial training/SIWES at IITA with about 50% being females. The institute also accepts young graduates carrying out their mandatory year of service as part of the National Youth Service Corp (NYSC). In 2018, 54 NYSC members of 22 female and 27 males, joined different units of IITA and gained practical skills in the following areas: (1) laboratory techniques and research (2) agronomy (3) bioscience (4) virology (5) breeding science (6) agribusiness (7) information technology and communication (8) administration (9) food processing. Upon successful completion of their trainings and internships, some of the students were employed in IITA in their varied fields of practice. The Pre-placement Orientation Program was meant to educate and prepare the students for the scheme and layout the expectations of their university, the companies as potential placement sites, and the Industrial Training Fund (ITF), a federal body in charge of promoting and funding industrial training of students. At the end of the program, the Vice-Chancellor of the University, Prof. Sulyman Age Abdulkareem, presented awards of recognition to companies present at the seminar including Seven-Up Bottling Company and IITA.